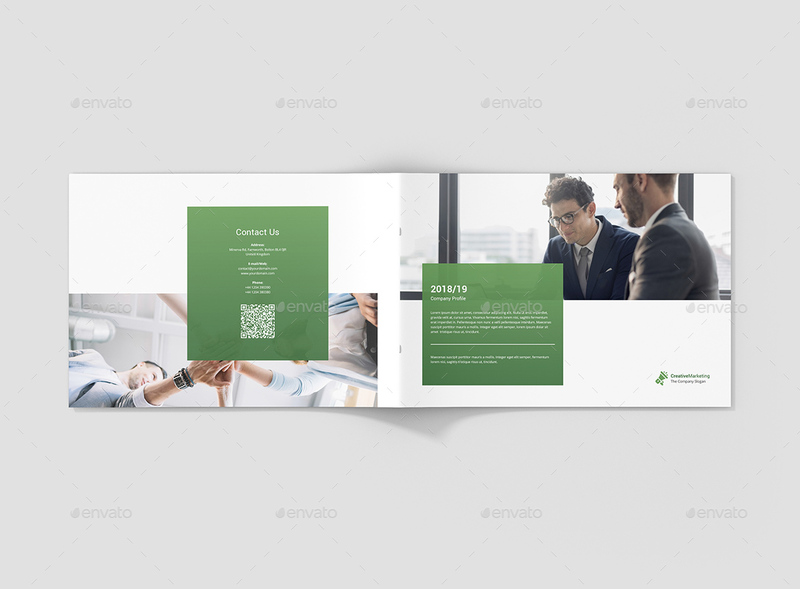 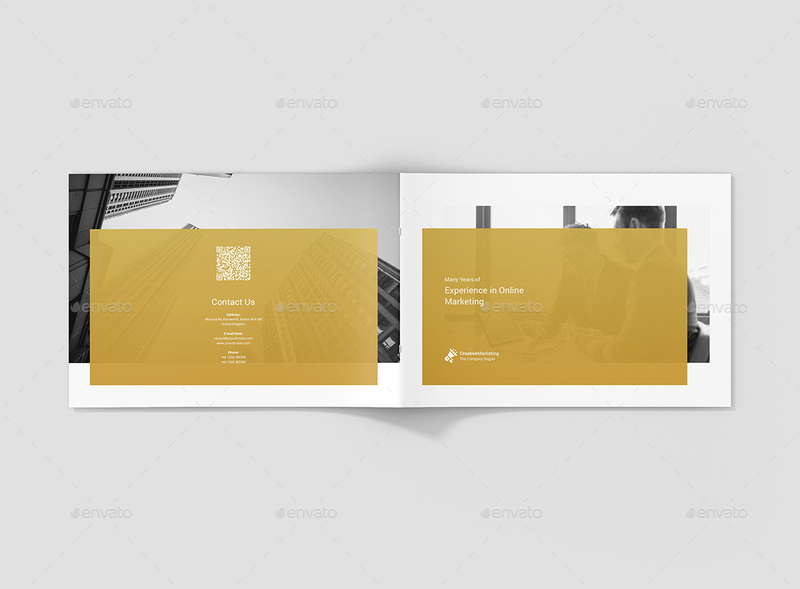 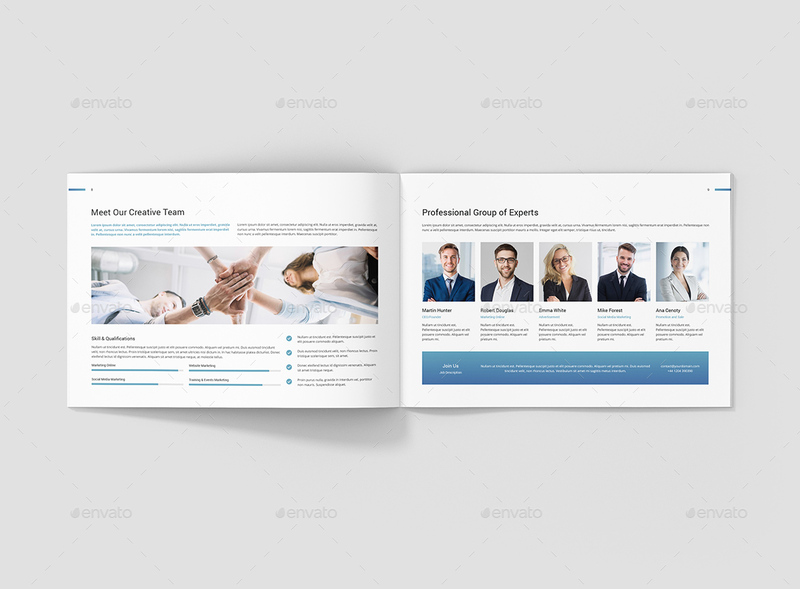 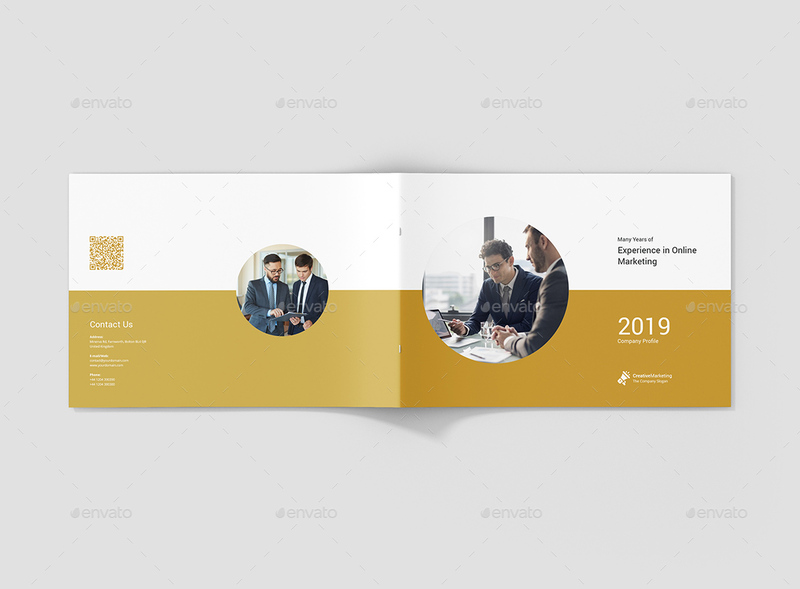 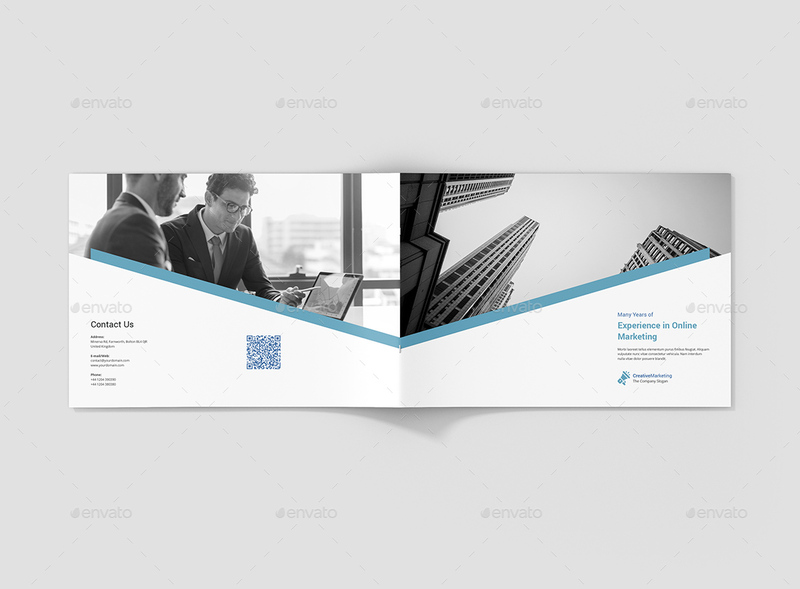 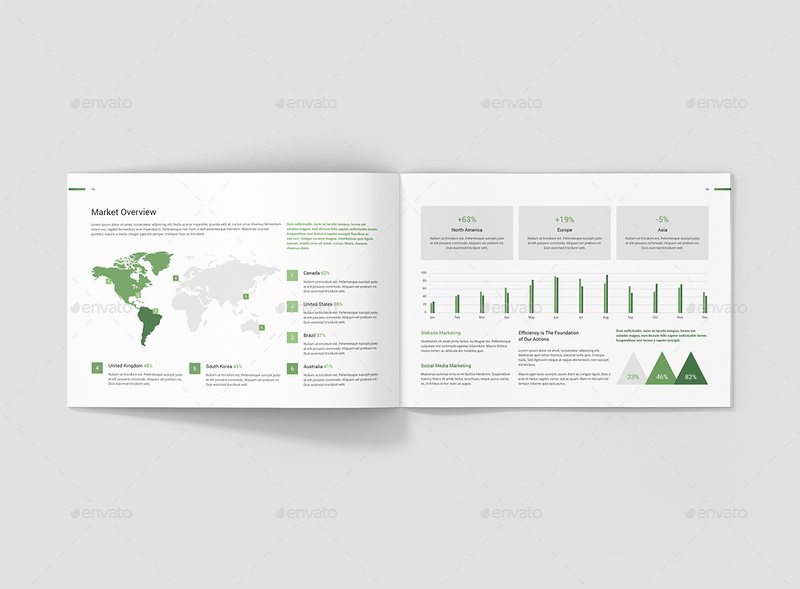 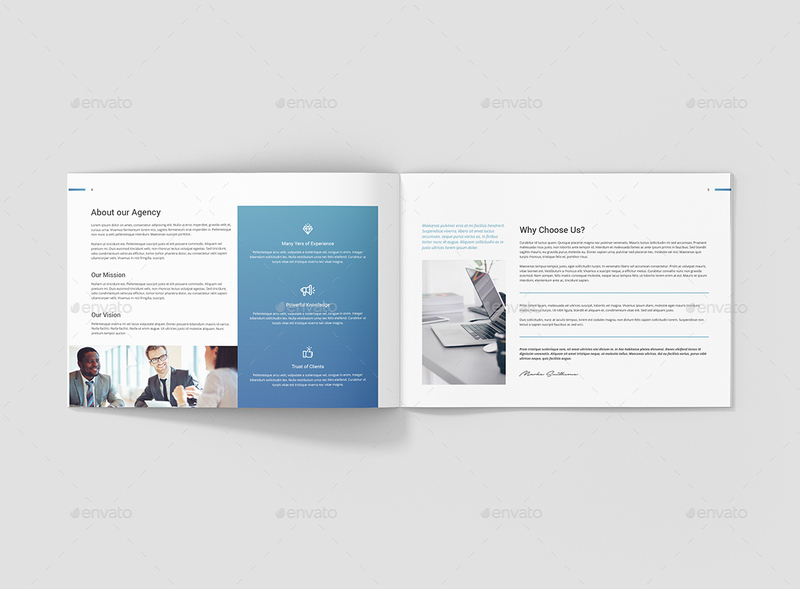 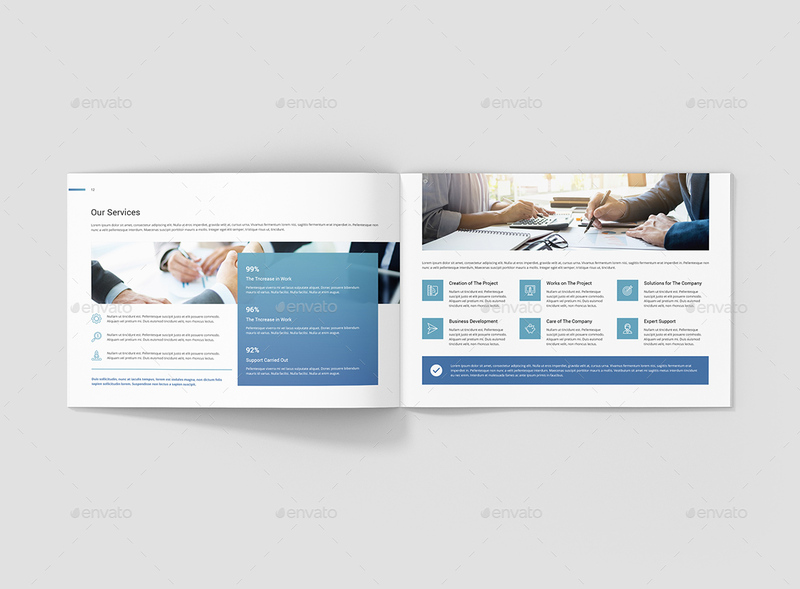 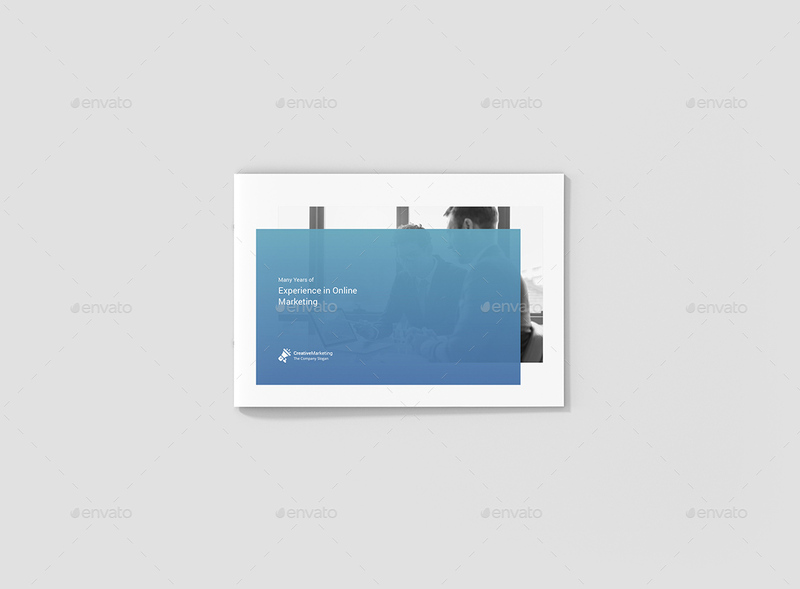 The brochure was designed for small and large corporations related to marketing, consultations, law, an interactive agency or a creative studio. 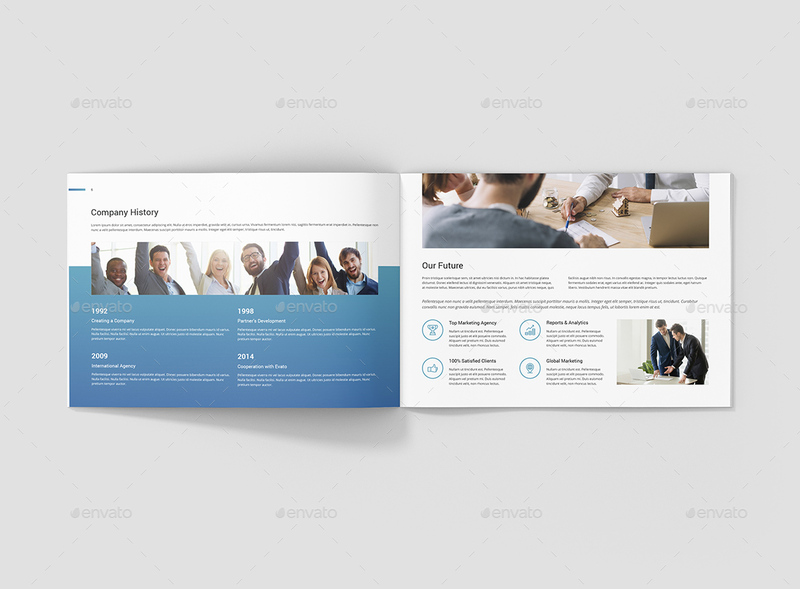 The entire template was created in Adobe InDesign and is very easy to edit. 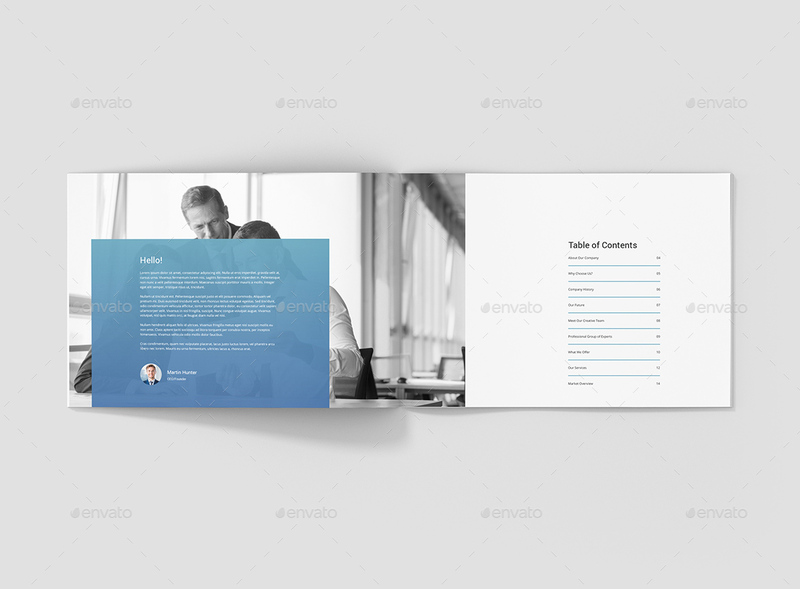 Each element is on a separate layer. 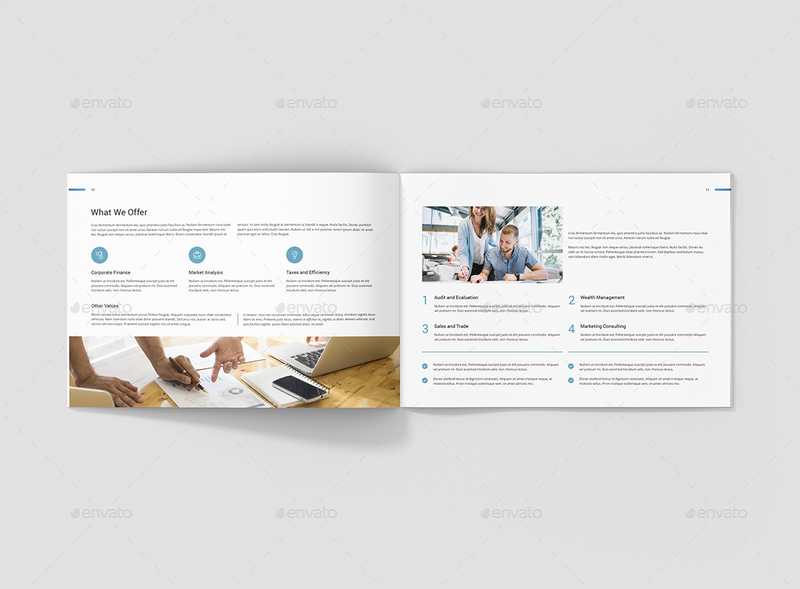 All layers have been optimally adapted to editing and have different groups (pagination, text, graphics, images and backgrounds). Paste your text, place photos and promote your business.